Sagar Kinara is a recommended hotel in Malvan providing luxurious accommodation, efficient room services and delicious malvani sea foods in their multi-cuisine restaurant. Malvan Beach (Tarkarli beach): It is an amazing long and narrow beach with crystal clear water. You can easily view the sea bed and marine life in the sea with your naked eyes. Sindhudurga Fort: Just opposite to Malvan beach, Sindhudurga Fort is an ancient Fort built by The Great Maratha King Shivaji in 16 century. To reach this fort you have to go by ferryboat arranged at Malvan beach. 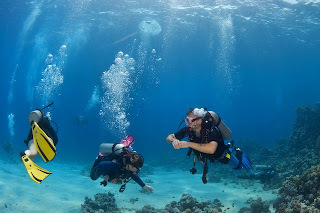 Adventure Sports at Malvan Beach: Visiting Beaches without trying out the breath taking water sports is not a fair deal; hence, it is highly recommended for you to tryout adventurous beach sports such as, surfing, scuba diving, parasailing, etc. 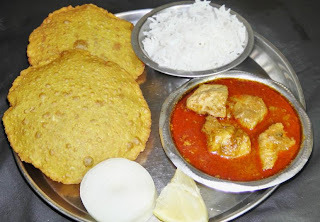 Malvani Cuisine: Don’t miss out the delicious Malvani cuisine such as, Kombdi Vade, Malvani fish curry, Mori masala, Malvani Mutton Curry and obviously Solkadhi (drink made from coconut milk and Kokam); there are many more delicious Malvani food which you can easily have on your plate at restaurants in Malvan. 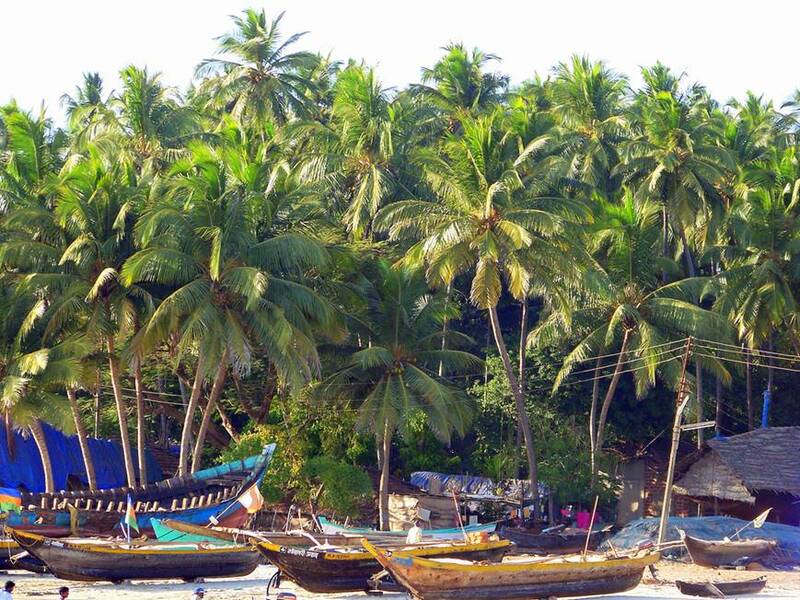 Malvan Village: To experience the Malvan culture it is recommended to visit villages surrounding the beaches. Malvani peoples are basically fishermen or into fishery business. The best time to explore Malvan culture is by visiting the place during festivals and fairs. 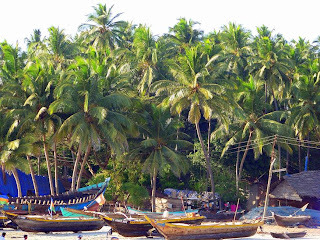 Hope this article has somehow helped you in making a list of places to visit in Malvan. There are lots more attractive tourist places in Malvan, if you need more details feel free to contact us online at Sagar Kinara, Malvan. Don’t forget to reserve your hotel in Malvan before arrival, for online hotel booking visit Hotel Sagar Kinara, Malvan. If this article was helpful to you please post your valuable comments below, we are always ready to please you and help you clearing your doubts and questions. As you know konkan is considered one of the famous places for tourism in India, located in the western side of India, has many fabulous beaches. People, interested in having beach holidays, are highly recommended visiting konkan beaches once in their lifetime. The beaches in konkan have silver sand and crystal clear water. Compared to other beaches like Goa, konkan beaches are less crowded; hence you get full opportunity to explore the refreshing atmosphere of konkan effectively. Malvan is a small taluka in Sindhudurga district, Maharashtra. This place is worldwide famous for the legendary history of the Maratha King, Chatrapatti Shivaji Maharaj, who built the impressive Sindhudurg Fort on Kurte Island. Every year thousands of people from all around the world come to Malvan to visit the fort also to enjoy in beautiful beaches. Not only for beaches and forts but Malvan is also well-known for its malvani cuisine specially rice and malvani fish curry. If you are planning for your trip to Malvan the first thing that you should plan is for accommodation and that where we come. Malvan Hotel Sagar Kinara is an eminent hotel having luxurious accommodation and top class service facilities. The restaurant of Sagar Kinara has the best malvani cuisine with mouth-watering delicacies. We guarantee the malvani food you have here will be the best you ever had. Apart from all these facility you can visit many other tourist attractions which are just a stone throw away from the hotel. Some places that you should visit on your Malvan tour includes Sindhudurg sea fort, Tarkarli Beach , The Rock Garden, Chivala Beach, Arse Mahal Beach, Tondavali Beach, etc. So, if you have made a plan for your Malvan trip and want to book your room in hotel Sagar Kinara, you can simply fill your booking details on our website. © Copyright 2011. Hotel Sagar Kinara, Malvan ( Best viewed in 1024 x 768 resolution ). Simple theme. Powered by Blogger.